The best and most customizable RSS news reader available for Windows 8. 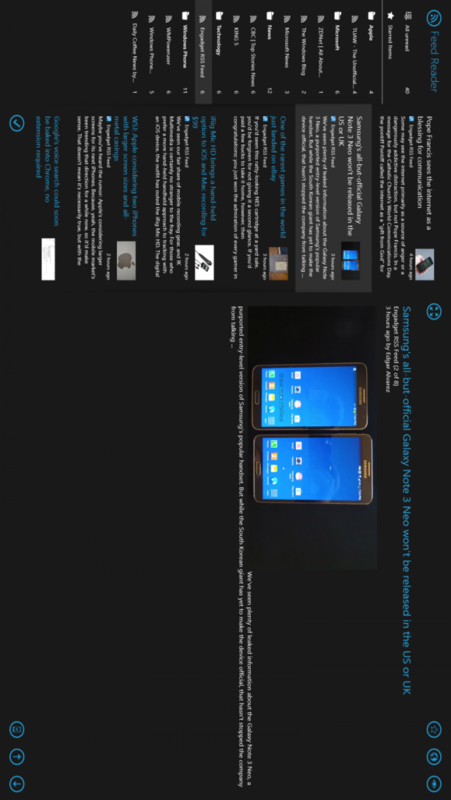 Feed Reader is a modern news reader app with a classic list based design. Now with build in Instapaper and Pocket sharing! Quick access buttons like next/prev item, full screen, star/unstar, open in browser, mark as unread and mark a list read are available to quickly select without extra strokes. This is especially great for tablet usage and quickly getting through tons of articles. Full featured ad supported trial available.